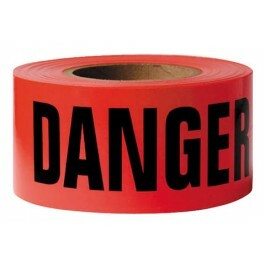 This red caution tape will keep passerby safe with its bold DANGER text. 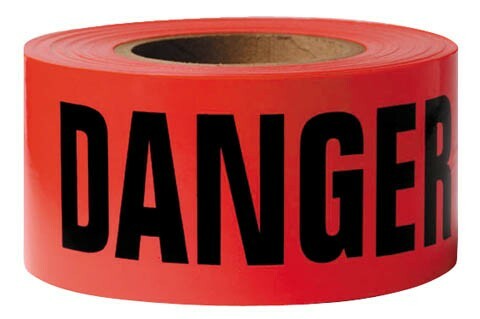 The 1000' roll size is 2.5 mil thick and sold in a case of 8. Sold by the case. Quantities: 8 rolls.